First Introduced in 1993, Lansdowne Models are a collection of popular British classics spanning over 40 years of British motor history. 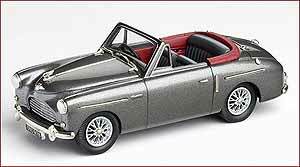 Manufactured by Brooklin Models in Bath, Avon. These models are hand-crafted from original plans and patterns and are individually painted in authentic colours with chromed brightwork, white wall tyres where applicable and simulated glass windows. 1958 Armstrong Siddeley Sapphire 234. These new small Armstrong Siddeley saloons were announced in time for the 1955 Earls Court Motor Show. 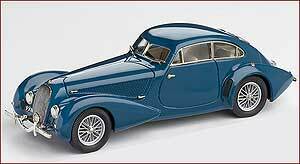 The 234 was deemed to be a sporting saloon with 120 BHP and a claimed top speed of 100 mph. Colour: Powder blue. 1945 Sunbeam Talbot Ten. 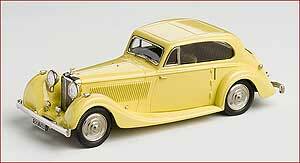 The Sunbeam-Talbot Ten first appeared in 1938 when it was advertised as being Britains most exclusive light car. It was, in fact, a development of the earlier Talbot 10 Colour: Medium grey metallic. 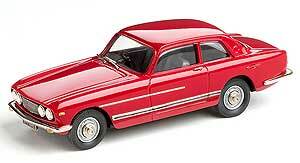 The Estate was introduced after the saloon and proved popular. Entirely conventional in every way, the Avenger proved popular with the buying public through three changes of name. 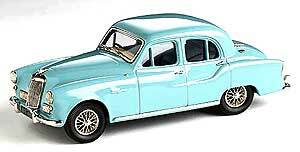 In six years of production over 600,000 models of all types were produced.Our model is finished Aquarius Blue Metallic. 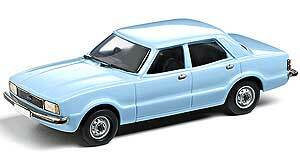 1979 Ford Cortina Mk IV Saloon. 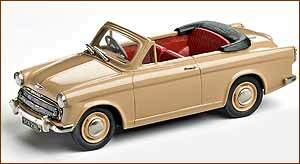 When the first Cortina arrived in 1962 it caused a sensation. It was bigger than other cars in its class, yet was lighter and cheaper with large range of derivatives, trim styles and engines. Over a million Cortinas were produced during the first four years of the car's life. The Mark 2 Cortina also ran for four years, whilst the Mark 3, more aggressively styled and owing much to Detroit, although still the same length, lasted for six. 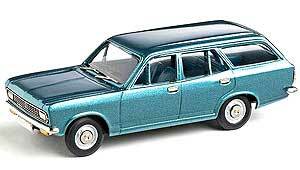 Our model represents the L four door saloon and is finished in Bermuda Blue. 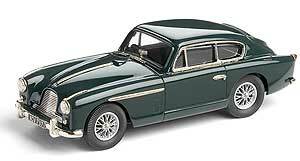 New black version of the 1949 Lagonda 2.6 Litre D.H.C. Designed by W.O. Bentley, the Lagonda two-and-a-half litre was hailed as a very advanced design.With the transmission mounted within the depth of the chassis frame a flat floor was possible, the floor unit of the body being attached to the frame on rubber mountings. A saloon and drop-head coupe were available with bodies manufactured by Briggs. 1951 Bentley VI. 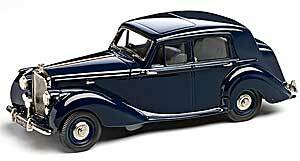 Received well by the buying public, the Mk VI was also greeted with enthusiasm by the various coachbuilders associated with the marque and within a couple of years such makers as James Young and H.J. Mulliner were offering special coachwork on the MkVI chassis.At the end of 1951 the MkVI engine was slightly enlarged and the following year the Continental Sports Saloon was added to the range, at first for export only.In 1953 the MkVI was replaced by the R type which featured lengthened bodywork aft of the rear wheels. The 8 litre was W.O. Bentley's finest moment. Unfortunately this magnificent automobile couldn't save the company from bankruptcy. 1939 Lagonda V12 Rapide D.H.C. from the Lansdowne Models Collection. 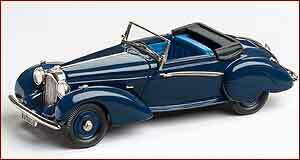 Railton began producing cars in 1933. Arising from the remnants of the old Invicta Company, the factory was situated in Capt. Noel Macklins garden at Cobham. The idea of using a large unstressed American or Canadian engine coupled with bespoke British coachwork was not unique to Railton with a select group of other small manufacturers like Jensen, Lammas-Graham, Atalanta and Brough joining in the fun. These Anglo-American Bastards as the type became known, enjoyed a degree of success through the 1930s. 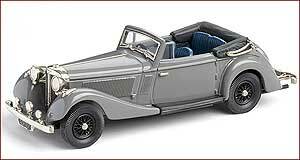 This magnificent motor car was built for Woolf Barnato by H.J. Mulliner. Originally mounted on a 1934, 3½ litre chassis, Barnato was so pleased with the car that he asked Mulliner to transfer the body to the new 4 ¼ litre chassis. Finished in silver-blue with a dark blue interior the Concealed Drophead Coupe featured wood finished trim along the top of the doors and across the car behind the rear seats. The hood was concealed under a metal panel. 1936 Bentley 41/4 litre Concealed D.H.C. from Lansdowne Models. 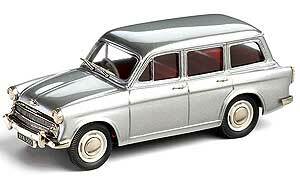 1:43rd Scale model hand built in England, in heavy white metal. Originally finished in silver-blue, this concealed drophead coupe was repainted black and existed like this for many years before being restored back to the original colour by its current owner. The interior remained in dark blue with wood finished trim along the top of the doors and across the car behind the rear seats. The hood was concealed under a metal panel. 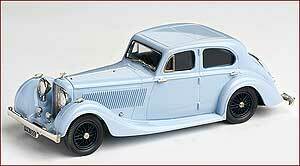 The VA was MGs entry into the 1.5 litre sporting saloon car market, going up against the SS Jaguar , Riley and Triumph. It has always been intended that a small brother to the larger SA would be built and the VA was begun in 1935. 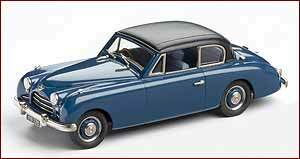 With bodywork designed by Cecil Kimber and a 1548cc engine shared with the Wolseley 12/48 the new small MG saloon was offered at around £300. In 1948 Rootes Group's large Humbers were given a facelift with extensive front end styling influenced by the Loewy Studios. Available in saloon and long wheelbase forms as before, a convertible was also now offered. 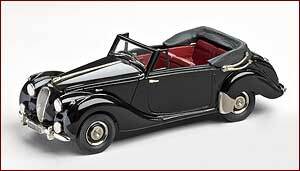 Coachwork was entrusted not to Thrupp and Maberley but Tickford who specialised in convertibles. Not many convertibles were built and restored examples are highly prized today. 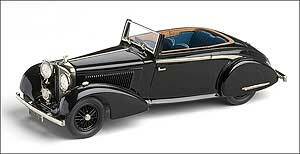 The Lagondas of the mid to late 1930s were magnificent cars designed by none other than W.O. Bentley. The LG45 series was available in both short and long versions with both saloon and convertible options. The Rapide (LDM 78) shared the same V12 engine as the saloons, although shared no common body parts. The Bristol 406 which was introduced in 1957 had completely new styling which lacked the rounded looks of its predecessor. It was also the last Bristol to employ the well tried 6 cylinder engine, albeit in modified form, before American V8 power took over. The same basic body design with subtle modiciations would last right through to the 411. 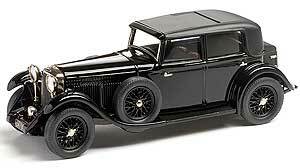 1936 Bentley Coupe from the Lansdowne Models Collection. 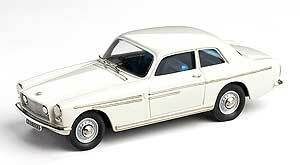 1:43rd Scale model hand built in England, in heavy white metal. 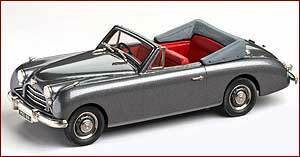 The Sunbeam Alpine was a success right from debut in 1959. With its Hillman Husky floorpan, mechanicals from the Rootes parts bin and Ford Thunderbird-inspired styling it was a very attractive car. However, there was always a feeling that the Alpine could do with a little more performance, particularly on the American market. The rather staid AC Ace had been transformed into the Cobra by squeezing a Ford V8 under the bonnet and sales were dramatic. It was decided to follow this format. 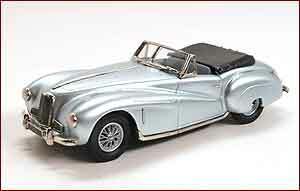 1948 Aston Martin DB1 from Lansdowne Models finished in silver blue. 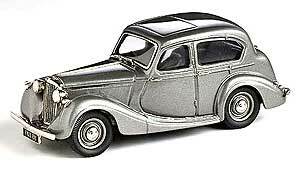 1939 Bentley Embiricos 1949 Original Car from Lansdowne Models. This wonderful motor car was born out of a desire by European Bentley agents to have a car that kept up with the new streamlined offerings from Continental manufactures. 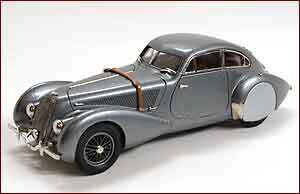 Financed by Greek millionaire Embiricos and designed by Portout, the new car was built on a chassis supplied by Bentley. 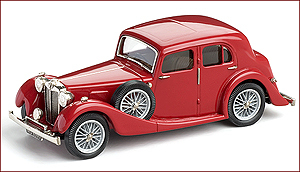 Our model shows the car in its original form when built. Note the unpainted rear wheel covers. Size: 110 mm or 4 ½ inch. 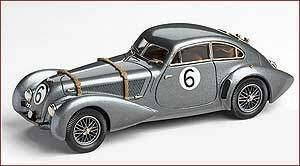 1939 Bentley Embiricos 1949 Le Mans from Lansdowne Models. With a few modifications, in 1939 this sporting Bentley appeared at Le Mans and would go on to race there twice more after the war. 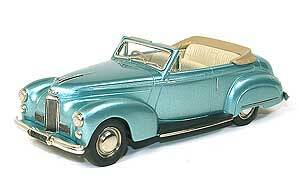 1939 Bentley Embiricos (1971-1993) Road Car from Lansdowne Models. During this period of time the Embiricos Bentley lived in France. Painted blue and bereft of its rear streamlined wheel covers, contemporary photographs show a once proud car looking somewhat tired. 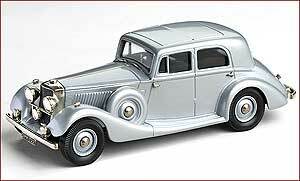 1936 Bentley Barker Sedan from Lansdowne Models. 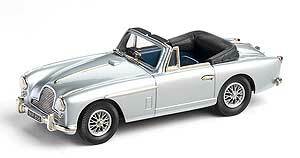 1:43rd Scale model hand built in England, in heavy white metal. 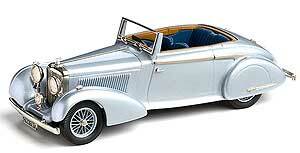 Barker was a coachbuilder whose designs on Bentley chassis had a certain elegance. Barkers Curvilinear Coupes caused a sensation at lounch and this four door version was equally well-received with its body coloured radiator shell, a throwback to some of the original Cricklewood Bentleys. 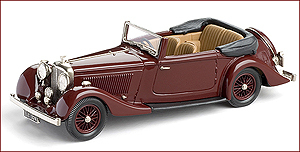 1936 Bentley Park Ward from Lansdowne Models. The silent sports car as Bentleys were termed by parent company Rolls Royce, was available in chassis form throughout the 1930s. Park Ward was one of the more successful coachbuilders and this was one of their most handsome offerings. 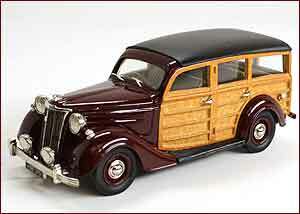 1952 Ford V8 Pilot Woody from Lansdowne Models, finished in maroon. 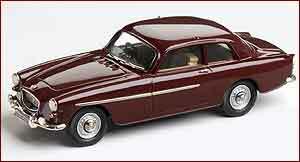 The V8 Pilot was a Dagenham-built answer to Fords lack of a large saloon immediately after the war. Fords ubiquitous V8 had been produced in various guises in the United States, Germany and France as well as the United Kingdom. The Pilot was the last of this pre-war design to remain in production. Although the saloon was produced in large numbers the woody was a rare variant and few survive today, the best known probably being the example built for King George VI in the Royal Household at Sandringham. 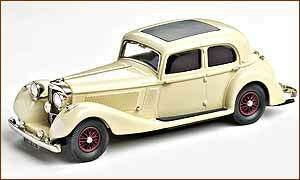 1936 Talbot 105 Airline Saloon by Lansdowne Models. 1952 Austin A40 Sport Convertible in gunmetal grey. This is a Lansdowne Models limited edition factory special. 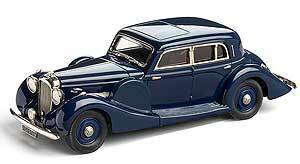 1939 Lagonda V12 Rapide from the Lansdowne Models Collection. 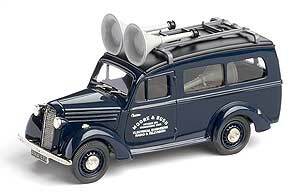 1:43rd Scale model hand built in England, in heavy white metal. Factory Special, Limited numbers available. Back to main Brooklin section!